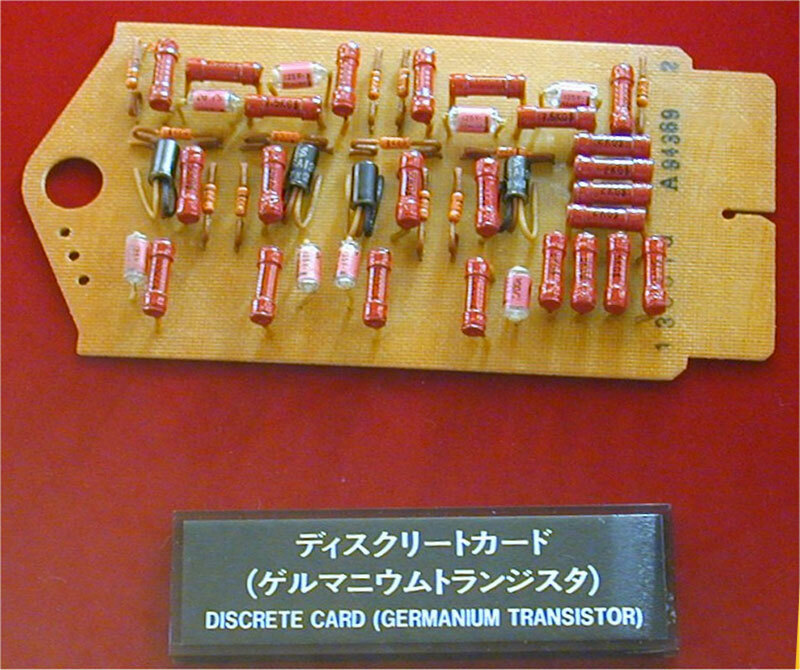 The FACOM 222 was the first transistor-based computer manufactured by Fuji Tsushinki Manufacturing Corporation (currently Fujitsu). Manufacturing of its prototype named as FACOM 222P ended in October 1960, and testing was completed in February of the following year (1961). 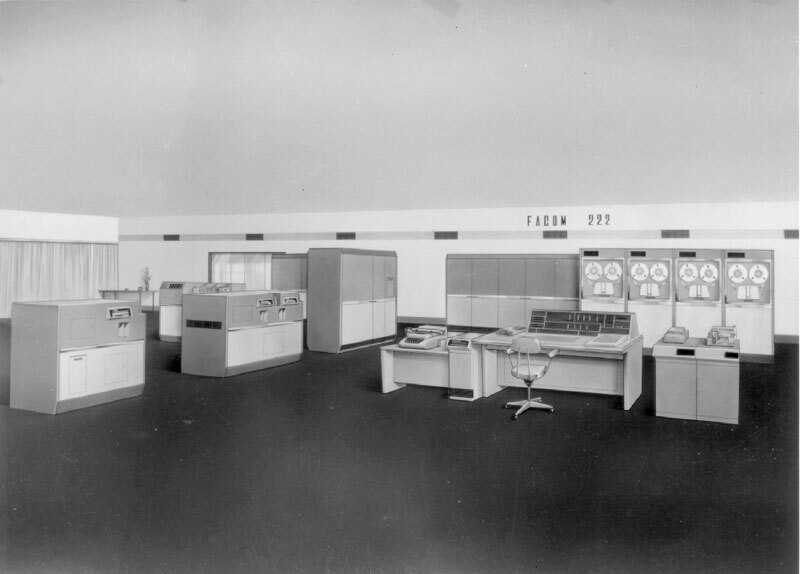 Manufacturing of the commercial FACOM 222A, which was developed in parallel, finished in April 1961, and in November of that same year, the machine was delivered to Kyoei Life Insurance (later, the Business Machine Department of the company went independent and became the Kyoei Computation Center). 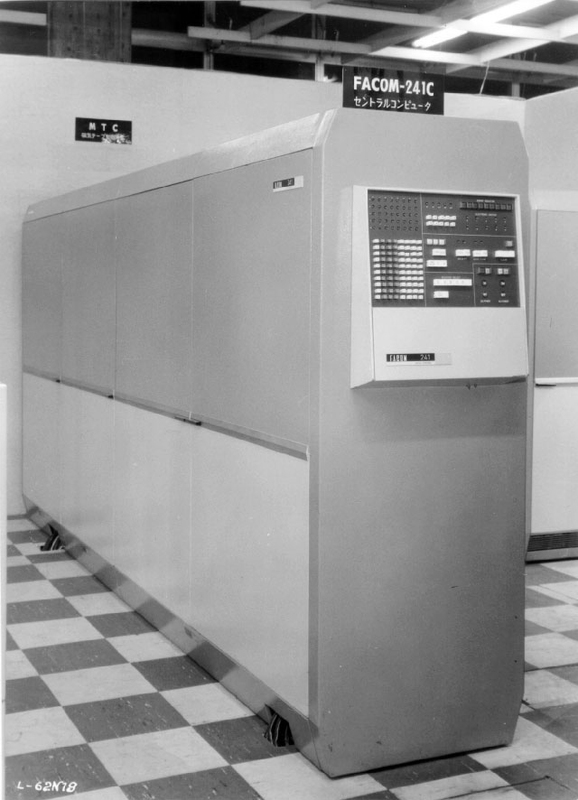 This machine was the largest Japanese made general-purpose computer of the time. It employed numerical values in the fixed point format (sign + 12 digits) and floating point format (sign 1 digit, mantissa 10 decimal digits, exponent 2 digits (-50 to +49), and had operation speed performance of 160microsec./920microsec. (max.)/3,900microsec. for fixed point addition-subtraction/multiplication/division, and 350microsec./800microsec. (max. )/3,300microsec (average) for floating point addition-subtraction/multiplication/division. The memory unit was based on the magnetic drum in the FACOM 222P, but in the FACOM 222A, a 10,000 word magnetic core memory unit was used for main memory, and magnetic drums (10,000 word per drum, max. 100,000 words) were used as auxiliary memory. It was also possible to connect numerous input/output units, such as a maximum of 10 magnetic tape drives, thus enabling high-efficiency input/output operation. High-reliability was achieved by a complete check system, including checks based on 5C2 code for arithmetic operation, and these systems were widely used in facilities like trading companies, manufacturing businesses, universities and computation centers. The FACOM 241 was developed at almost the same time that the FACOM 222P was finished. It achieved greater miniaturization by eliminating parts which were unnecessary for a business computer.